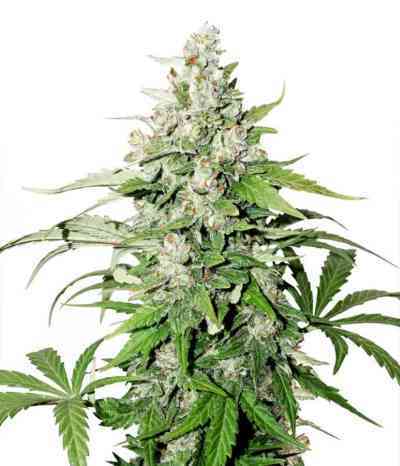 Nirvana Snow White is one of our top-notch selections from the “white" marijuana seeds family. Her pure Cannabis Indica father gives Snow White a denser stature than close relative White Widow, making this F1 hybrid a big yielder indeed. Its cannabis plants bear dense sticky buds covered in trichomes. These marijuana seeds are well suited to cultivation in hydro or similar systems. With its lovely smooth taste and powerful Indica stone, Snow White is one of the nicest Widow variations available.